What are people saying about their experiences at The Tipsy Red Fox ? Clicking the facebook reviews button takes you to The Tipsy Red Fox Facebook page where you will discover over seventy 5 star reasons to attend an event with us. Please like our business page while you are there and return quickly and easily to thetipsyredfox.com to finish booking your event. After exploring our Facebook page please click on the drop-down menu labeled BOOK NOW at the very top of the page - click the GO TO LINK and you will be returned here after reading what customers like yourselves have said about us. 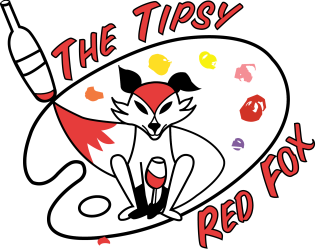 To get back to The Tipsy Red Fox when you are done reading reviews please click on the thetipsyredfox.com link located next to website to finish booking your event.